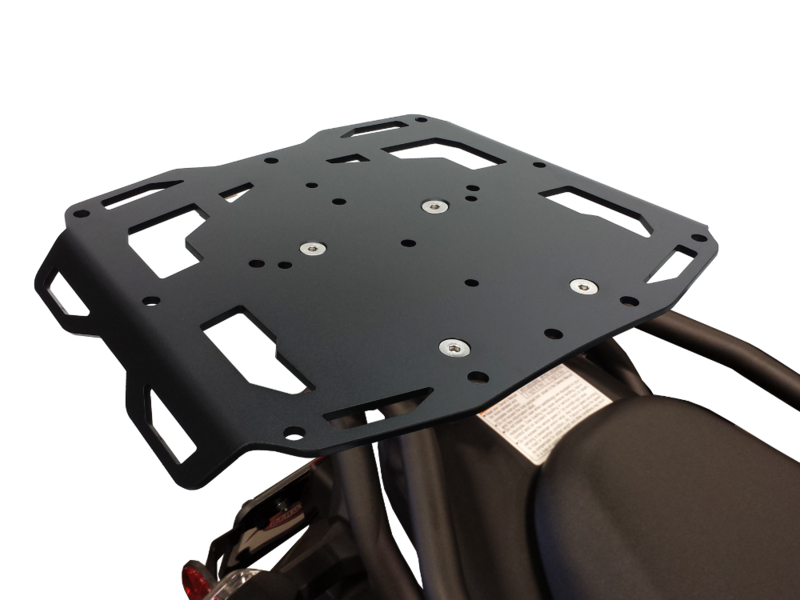 When your undersized stock rear luggage rack just doesn't cut it, our Adventure Series rear rack is great for adding the extra storage needed for real world loads. From an overnight camping trip, to an across the country trek, the 15 by 12 inch platform has you covered. CNC machined from 3/16 inch aluminum plate, it is both lightweight and strong enough to handle any terrain.